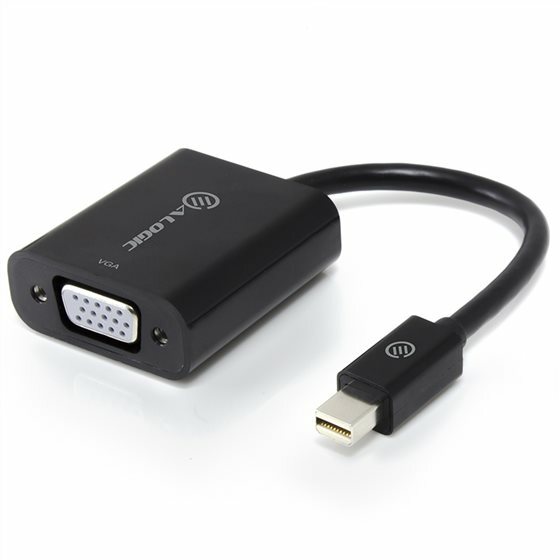 This ELEMENTS range of ALOGIC adapters provides an easy and effective way to convert a Mini DisplayPort signal from a computer for viewing on a display with a VGA input. The ALOGIC Elements range of products are designed for affordability and value for money for your everyday applications.Connect the Mini DisplayPort end of the adapter to your computer and the VGA end connects to the VGA cable connected to the display. The adapter has an ABS construction for durability and uses shielded cable for minimal loss of signal.